Building things, Learning New skills, Having fun doing it! The project was aimed to create a reliable system in which MIT students could find-out if the MIT Electronic Society (MITERS) was currently open. MITERS is a Student Operated club for Students, with the occasional MIT Community members (Staff, Faculty, Alumni). Get a Raspberry Pi to poll two pins to see if a switch is open or closed. This ultimately would be the code that determines if the door is open or closed, which would trigger various statements. Get a python code to tweet an string. This step took some of the most finagling because roughly half a year before this project Twitter released a whole new update of their API which made all tutorials obsolete. Get a temperature Sensor to read out the Temp. and Humidity. Once I had these three components working independently I started to integrate them into a working setup. But I ran into an issue when I setup the raspberry pi to be remote accessible to make it easier to use. 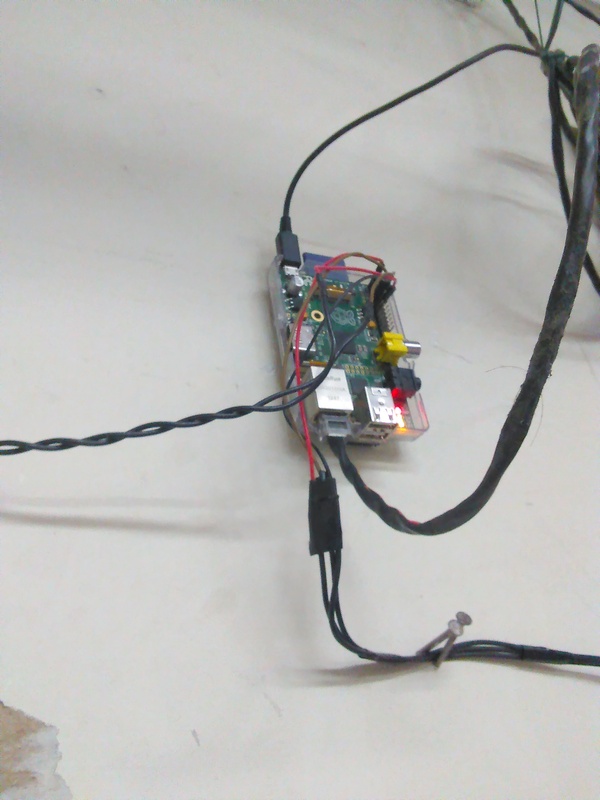 The issue was that on the MIT networks the raspberry pi’s IP address would get changed every so often, either due to disconnection or some network setup/requirement. Because of this increasingly frustrating issue i developed an Get-IP python script as well as an Email script, which I combined into a Get-IT-Email script. With a dedicated project gmail, I was able to always have the ability to determine what the IP of the device was at any given time. One of the other useful things I came across in the development of this code was the PICKLE. This is a neat little python library that allows you to pass a ‘state’ or variable from one instance of your python script to the next. Since I developed all my scripts to run once, and then ultimately be controlled by the cron job/cron-tab system, this afforded me a way to pass important information between each instance of my code. Specifically, What the current IP address, What the Door state is, both of these allow me to control how often certain triggers go off. This is useful to reduce spam like activity in either email or twitter. 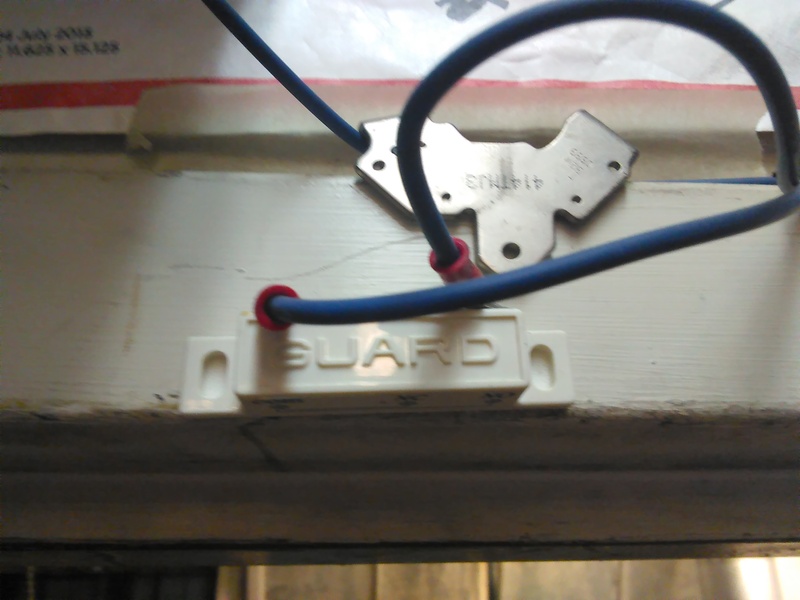 Mechanically my first door switch was built out of readily available components which were comprised of a heavy duty limit switch, aluminum and hot-glue. This mechanism worked for about 2 weeks before it started to run into problems. 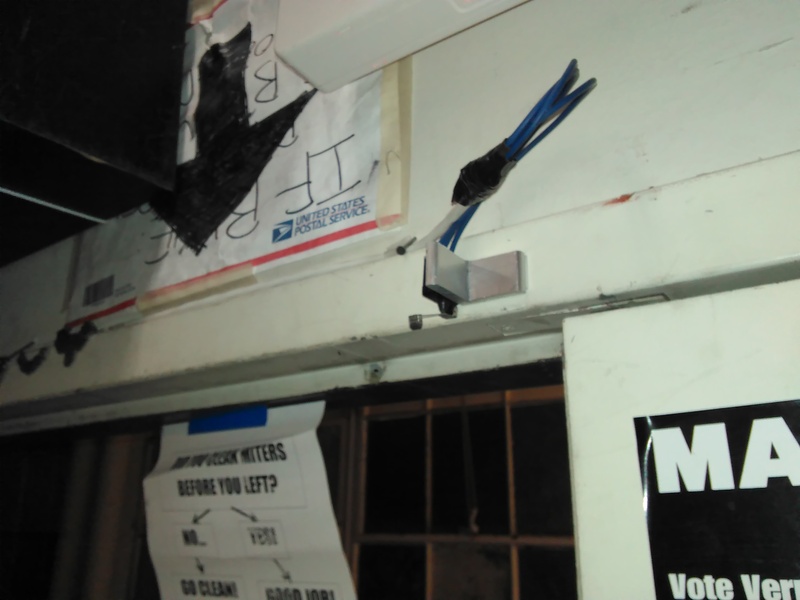 The main issue was that people would slam the door which had the chance of catching the lever arm of the switch and bend it out of place. Although there was a curved profile to the trigger on the door, it did not prevent this kind of abuse. Ultimately I went to microcenter and replaced this switch with a standard door-security alarm switch. 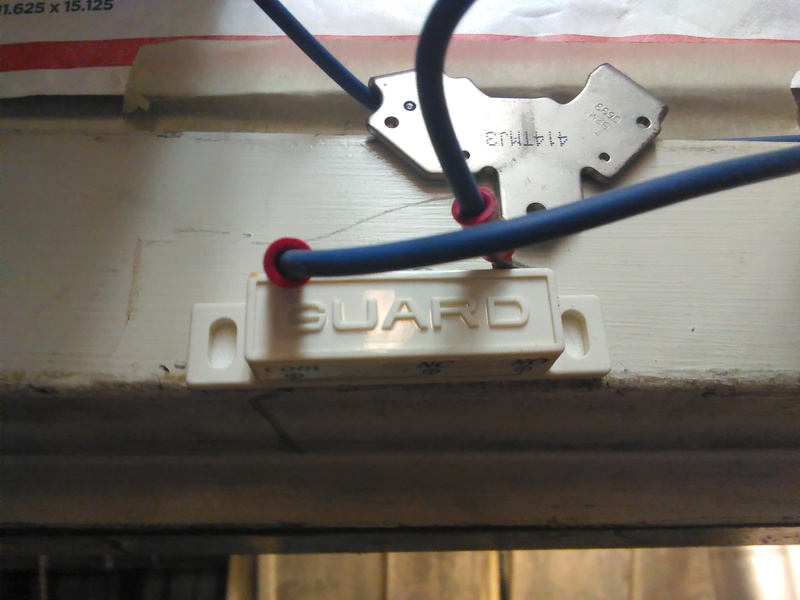 This standard alarm switch uses a magnet on the door, and on the frame a reed switch. In the presence of a strong magnetic field the reed switch will trip and close, thus completing your circuit. 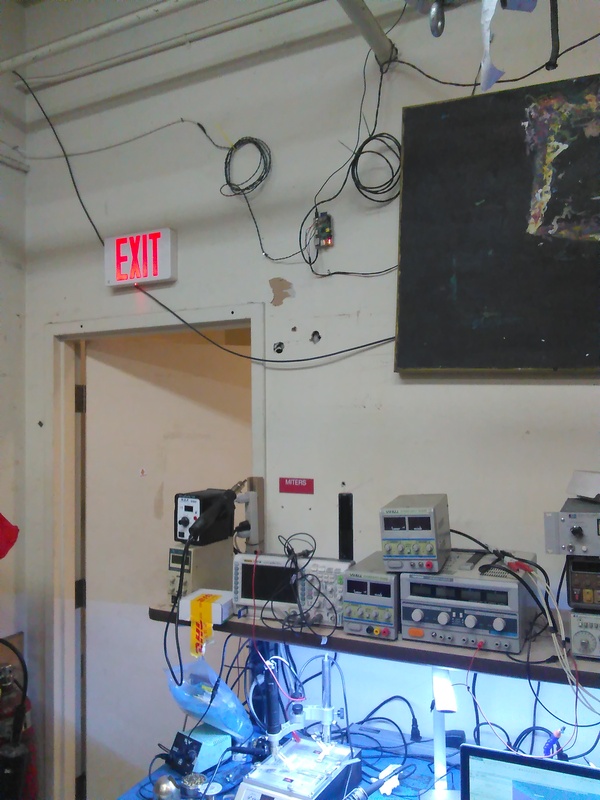 In the end I created two separate codes and twitters: @MITERS_DOOR and @MITERS_DOOR2, The first only tweets when the door-state changes (polls once a minute) and the second tweets every 5 minute regardless but also has temperature and humidity measurements. 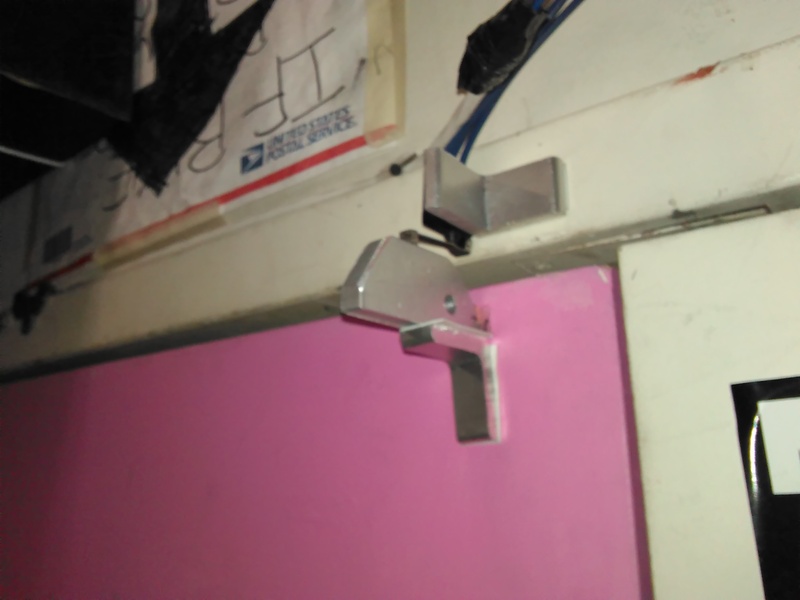 The @MITERS_DOOR raspberrypi has been consistently active since it was implemented, the only times it was unable to tweet were due to network issues that were related to its access point (Network in MITERS was down for a week here and there). It has also successfully started from power outages without fail.